One of the most historic cities in the entire country, Washington, D.C. offers countless gorgeous locations for your wedding photography session. Start off your photo shoot at the luxurious Hay Adams Hotel, located right across the street from the White House. The front entrance will serve as a beautiful backdrop for a portrait of the bridal party, with its elegant doors and immaculate Roman columns. Inside the intimate front lobby, your wedding photographer can arrange photos of the bride and groom beneath the glimmering chandeliers. Take the elevator up to the balcony, where your wedding photographer can get some great shots with the White House and Washington Monument as a backdrop. Once you’ve finished at the hotel, cross the street over to Lafayette Park, right next to the White House. Your wedding photographer can take some candid snapshots as your stroll along the walkways or set up a group photo on the lawn. Take some individual portraits beneath the shade trees or beside the statue at the center of the park. And, of course, don’t leave without a photo in the foreground of the White House, itself. Finally, have your limousine driver take the bridal party to the Arlington Memorial Bridge. Crossing the Potomac River, this beautiful neo-classical bridge is one of the most popular photography locations in Washington, D.C. After posing beneath the statues at the east entrance, walk along the pedestrian section as your wedding photographer snaps some shots of the bridal party. With the river and the cityscape as backdrops, your photographer will capture all your precious moments with your sweetheart on this most memorable of days. The Washington, D.C. area contains one of the country’s most prestigious higher learning institutions, Georgetown University, which offers plenty of scenic locations for your wedding photography session. Begin your session in front of Healy Hall, the school’s most recognized and iconic structure. Then take a short walk over to Dahlgren Chapel, a charming little setting for some intimate portraits of the bride and groom. The Leavey Center can also provide a beautiful brick backdrop for a group photo. Venture over to Gaston Hall, whose photogenic interior and exterior make it a perfect photography location. This renowned Washington, D.C. campus also offers numerous lush green lawns, beside the Jesuit Residence and the Williams and Lauinger libraries, where your wedding photographer can assemble a great group portrait. These are just some of the gorgeous campus locations that you’ll encounter during your wedding photography session. After you’ve finished exploring the campus, take a 15-minute limo ride over to Washington D.C.’s famous Union Station to complete your wedding day photo shoot. Have your wedding photographer arrange a gentlemen’s photo or a girls-only shot along the front steps. The bride and groom can also pose for a private portrait beside the towering columns or beautiful arches spaced along the station’s exterior. Once inside, you’ll be stunned by the elevated arched ceilings and the ornate sculptures scattered throughout. The balcony overlooking the entire station is a great spot for a group photo or individual portrait. You’ll always remember your wedding day photography session near the Georgetown University campus! In the heart of historic Washington, D.C. you’ll find one of the most picturesque settings in the country - the Constitution Gardens. Walk through the garden’s park section as your wedding photographer captures the beautiful foliage all around or take a seat on the benches for some laidback photos. Gather the bridal party on any of the garden’s sprawling green lawns for a perfect group photo. As you venture further into the garden, you’ll find the captivating, yet tranquil lake, an oasis of calm that will make you forget busy, bustling Washington, D.C. Combined with a spectacular view of the Washington Monument, the pool will serve as a wonderful backdrop for both group and individual photos. You can also visit the Lincoln Memorial and take photos on the steps or with the Reflecting Pool in the background. After you’ve finished perusing the Constitution Gardens, take a short ride over to the Jefferson Memorial, truly an architecture marvel. The memorial offers steps on which to situate the bridal party, as well as towering white Ionic columns. 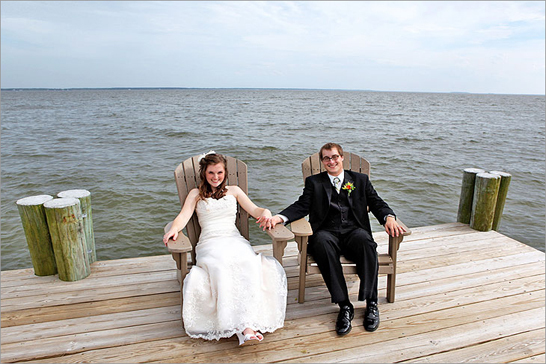 With the Tidal Basin in the background, your wedding photographer can create some amazing photos. Use this wedding photography itinerary to complete an already precious and memorable day!